A win is a win as West Ham insert some daylight between themselves and the Premier League trapdoor. In context of ending a run of five consecutive defeats and putting a little distance back between ourselves and the Premier League trapdoor it was a ‘fantastic win’! 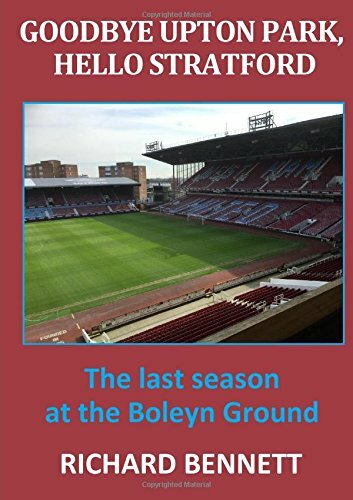 There are never any circumstances where I want to see West Ham lose a game even if the consequences were Tottenham winning the title or Millwall avoiding relegation. Even though I don’t believe the manager has anything to offer in taking the club forward, losing Premier League status would be a stupid price to pay for being proved right. At least Slaven Bilic acknowledged that the current predicament was the fault of the management and players and there was, for once, a general and welcome display of effort, even if it was short on quality. The celebration at the end was over the top in the circumstances but it was an enormous relief. As a spectacle in what is meant to be the world’s elite football league it was an extremely poor game. Both teams were disappointing and West Ham got their victory because they were the least worse of the two sides. Captain Mark Noble was quoted as saying that the win was the “biggest in a few years” which seems somewhat of an exaggeration despite the pressure release of this laboured victory. Noble added “it was not pretty but the only thing that matters was the three points. There’s no point in us playing like Real Madrid and losing 2-0.” Mark, there is no chance of us playing like Real Madrid; otherwise his comment bore all the markings of a classic ear-cupping Fat Sam-esque statement, for which he (the Fat One) would have been justifiably slaughtered. Paradoxically a disappointing game was won by a super goal from Cheikou Kouyate. Even the build-up had shades of Barcelona (rather than Real Madrid!) but the strike from Kouyate was majestic, sublime and sumptuous (© Sky Sports) all rolled into one. I am a big Kouyate fan due to the power and athleticism that he brings to the team but recognise that he has his shortcomings that prevent him being the target of bigger teams; for example, poor final passes and long range shots. Yesterday we witnessed something that may never be repeated but was, at least, worthy of winning a game. The goal also credited Robert Snodgrass with his first contribution in a West Ham shirt as he enters the record books with an assist. I still regard the ‘assist’ as totally subjective but I would grudgingly award him half an assist for his neat pass. Apart from the goal there were two occasions where Andre Ayew could have done better in front of goal plus a mesmerising Lanzini step-over where Calleri was unable to play for a lucky deflection and the ball crashed into the side netting. Jonathan Calleri must be some player in training in order to keep getting a seat on the bench. With Andy Carroll and Diafra Sakho sitting alongside him even he must have thought he was only there to make up the numbers. Surprisingly he ended up with a personal best ‘minutes on the pitch for a league game’ when replacing Michail Antonio in the closing stages of the first half. Some say Calleri ‘puts in a shift’ or that he is simply lacking confidence but I have yet to see anything that suggests that this is a top level footballer. In other substitutions replacing Snodgrass with Sofiane Feghouli is not too dissimilar a move from replacing Julien Faubert with Pablo Barrera. Something I had hoped we wouldn’t have to see on the next level was this a pile of workmanlike dead-wood that we have once again assembled. One win doesn’t mean safety. A repeat of the five match losing sequence would put us right back down there with the strugglers and stragglers. On the other hand just one of those twenty points we have lost from winning positions would have put is in the top half, so compressed has the lower mid-table section become. Things could be a little clearer next Saturday where the fixture computer has come up with a set of matches that only die-hard fans of the clubs involved could be interested in. A win at Sunderland would, I believe, make us effectively safe. Of the at-risk clubs (I have written off Sunderland and Middlesbrough who can wave to neighbours Newcastle on the way down) Hull and Swansea have enough winnable home games to survive and it is Palace who have the toughest run in despite their two games in hand. Personally I have no particular preferences other than we can scramble to 40 points before the end of the month and a tricky last few games.